If you’re looking for an affordable solution for your industrial manufacturing facility, then U.S. Buildings has exactly what you need. Our steel buildings offer column-free interiors with widths of up to 200 ft and unlimited lengths, providing ample usable space for your manufacturing needs. 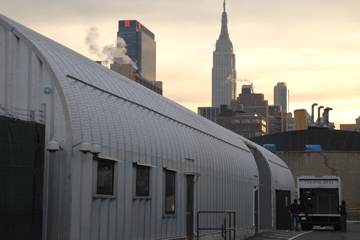 All of our buildings can be fully customized with skylights, windows, insulation, doors, vents and more. If you’re looking for a fast and affordable solution to your warehouse and storage needs, you’ll find the perfect fit with U.S. Buildings’ industrial metal buildings, warehouses and storage buildings. By using one of our buildings as opposed to constructing a traditional brick, block or wood structure, you can save 60% in pricing and cut your construction time by 40%. Call us today! U.S. Buildings metal shop buildings are the perfect solution to large structure needs for a welding business. Our buildings are safe, fire resistant, and can be fully customized with doors, insulation and more allowing you to weld anything from wrought iron furniture to ornamental iron sculptures. Our buildings feature a clear-span interior of up to 200 feet wide for added safety while welding and working with heat. We specialize in the highest quality, 100% American made steel, and are happy to have helped many businesses get their welding shops off the ground.